Just last Monday Microsoft introduced to the public Windows tablet PC’s running on the company’s latest operating System Windows 8. 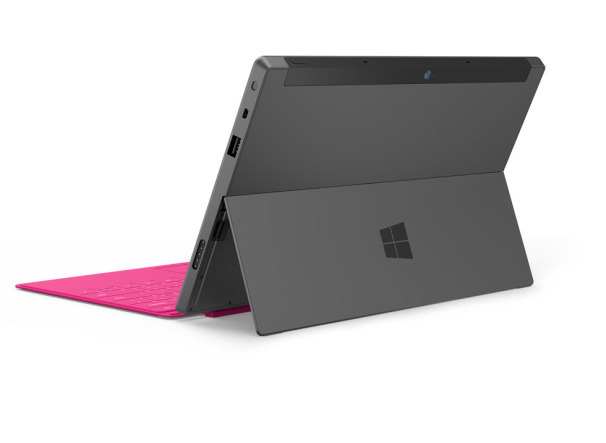 This is an attempt by Microsoft to enter into the Apple dominated tablet market. Tablet computing has been dominated by Apple tablet products for a long time. Microsoft unveiling its own tablet computer – Surface is a welcome development if I may say. Everyone knows that Microsoft may not be the best Tablet designers but will surely give Apple a deserving competition when they finally enter into the Tablet market. I will definitely love to use a Microsoft Windows tablet, as this will be seen by many others like me as merging the best of PCs and mobile computing. 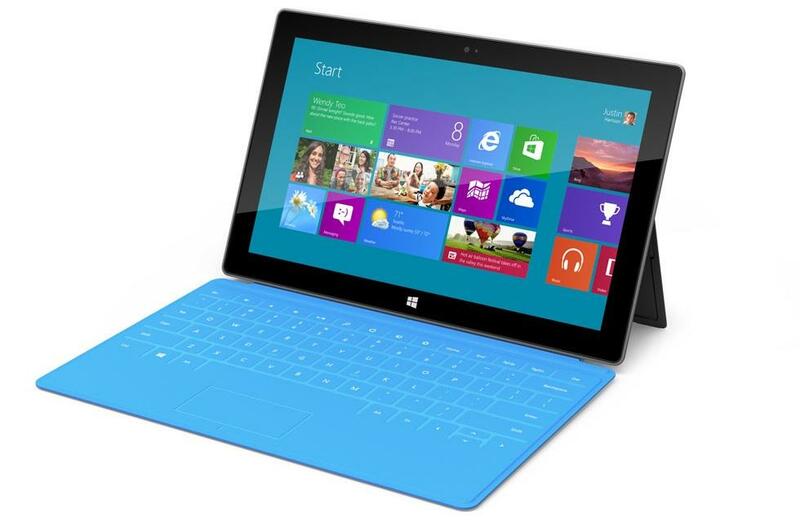 Microsoft’s Surface is designed to work both as a PC and also as a tablet. Microsoft’s Surface comes in two versions the Windows RT version and the Windows 8 Pro version. There are just slight differences in their specification as listed below. Here you will see that while the Windows RT version is super-thin with just 9.3mm thickness the Windows Pro version is about 13.5mm thick. Both come with two USB ports, something Tablet PCs don’t come with. The Windows RT version comes with a Micro SD port as well where as the Windows Pro version comes with a microSDXC port. The surface is just 16:9 widescreen HD screen and 10.6-inch thick touch screen made from a hard glass that will be difficult to scratch or even break. Another 3mm cover serves as a fully functional keyboard. While the Windows RT version comes in just 32GB and 64GB sizes, the Windows Pro version comes with a higher capacity of 64GB and 128GB sizes. Microsoft Surface Windows Tablet RT version will be available when Windows 8 launches but the Microsoft Surface Windows Tablet Pro version will be out 3 months later. While Microsoft is yet to place a price on their new product, bloggers like me and other PC user and Microsoft products lovers cannot wait to lay our hands on this device as we can already see the usefulness ahead of time. I can’t imagine a better blogging device than the Microsoft Windows Tablet – Surface which I can still use as a full computer if need be. If you find above post on “ Introducing the Microsoft Windows Tablet – Surface ” interesting and useful. Please share this post with your friends using the share tools on the left hand side of the browser or the ones under this post. Please if you haven’t liked our Facebook page simply click on the “Like” button on the right hand side of the browser. You can also follow us on Twitter right under the Facebook page. Since it is an ARM processor, current software will be useless, such as Office. I suppose there will be a a Office 201x that can be run on ARM. I’ll wait for the Slate with Windows 8. Definitely, compatibility will never be a big case for Microsoft once it has to do with their own products. They must have considered it already…. Nice contribution…thanks for the information. Getting ready for the World Cup 2014?